First, I should preempt what I'm about to say with this - I believe all human beings are creative creatures, in some form or fashion. We tend to think of artists, musicians, writers, and the like when referring to a "creative soul". The very act of creating something, to bring something into existence, to cause something as a result of one's actions, includes a vast number of things that we do in our everyday life. Artists don't have the market on creativity. An engineer is creative when designing a structure. An attorney is creative when designing a game plan to win a case. The urban gardener's creativity flows abundantly when designing a companion planting plot. When you are being creative, you can feel it in your entire body. It feels like an adventure! In a video, a few days ago, I talked about the soul's need to dream. 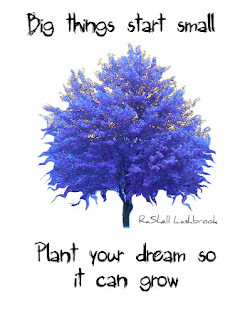 Not only do we need to have dreams, we also need to be creative. The creative soul not allowed to create will become destructive. We have a vast amount of energy designed just to create. If this energy is bottled up, or leached away by the demands of life, we become negative and destructive. For the kind souls, most of us I'm sure, we don't want to be destructive to those around us. So, where does the destruction go? It goes to the only place acceptable to us. We direct it inward. The destruction comes in many forms - drug and alcohol abuse, eating disorders, anxiety, negative self-image, mean inner-talk (You're not good enough, you can't get anything right, etc. ), and perfectionism - the killer of dreams. I'm not implying that creating will cure alcoholism. I'm aware that there has been more than a bucketful of talented people who still manage to become and stay self-destructive. In fact, there are some doozers of examples of super talented folks who managed to hold onto their destructive, self and otherwise, nature while creating some brilliant work - just before their star burned out. These people are the exceptions, the sacrifices to the world of art. They are not a practical comparison, unless you want to also burn out in a flame of ugly. I think that these tortured souls have connected their artistic creativity with their pain, rather, made the pain their muse and sought to keep it alive at their own expense. But for the rest of us, creation can be a healing process. Creation can be that moment that reminds us what it felt like to be a kid, building a fort in the back yard. Do you remember that feeling? No matter how much your tummy grumbled, no matter how late it was getting, you just wanted to finish your fort. You had plans for that fort! The only reason that you stopped working on your fort was because your mom finally made you come inside. For the rest of the evening, if your fort wasn't completed, all that you could think about was how you were going to finish building it the next day. That's the kind of excitement that creating brings to our oppressed, sleepy hearts! Who has time to be destructive when they are busy creating? Find a sense of purpose and you will find a reason to create. If you aren't the artistic type, don't think for one second that you are not creative. Take some time to find what really inspires you, what makes you feel alive. You are a magnificent creator! Every day, you are creating your life. What will you choose to create next?